People still rave about its chicken on a bun, cherry cokes, pies, spareribs, fries with gravy, steaks, chicken soup, butter tarts, ice cream puffs with hot fudge, tea biscuits and graham wafer butterscotch pie. 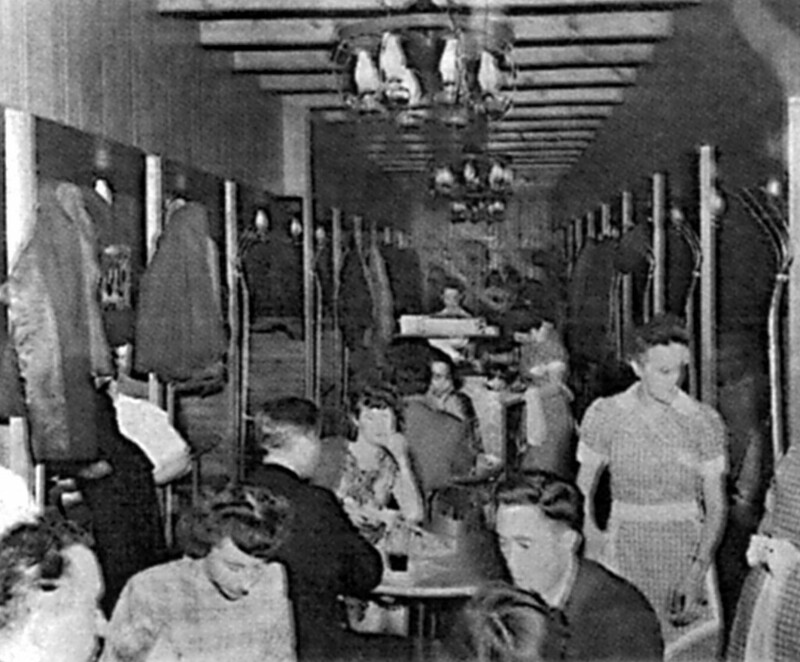 Dining at the restaurant in the 1950s. Spec Archives. * salt and pepper to taste. Reserve chicken stock to thin soup if necessary. In oil, braise garlic, celery, onions, carrots and peppers until tender (about 10 minutes). Add tomatoes, puree and paste. Add chicken stock, bay leaves, cloves, salt and pepper. Simmer until celery is tender. Add alphabets about 7 to 10 minutes prior to serving. Combine butter and water. Bring to a boil. Add flour, backing and one egg at a time. Pipe or drop in even rounds on baking sheet. Bake at 400 for 12 minutes. Cool and slice in half horizontally. Add scoop of vanilla ice cream. Add top and fudge topping. This sauce is not a glaze. It is a sauce used on a bun or side dipping sauce. Makes 1 gallon, can be frozen in small portions. Saute garlic in butter until brown. Add celery and onions and saute 5 to 7 minutes more. Add tomatoes. Add tomato paste and puree. Add cloves, chili peppers, bay leaves, salt and pepper to taste. Let simmer in chicken stock 2 1/2 to 3 hours or until celery is tender. In separate pan, add cornstarch to cold water, mix until smooth, Pour into sauce. Let cook for five minutes. If sauce is too thick, add more chicken stock. 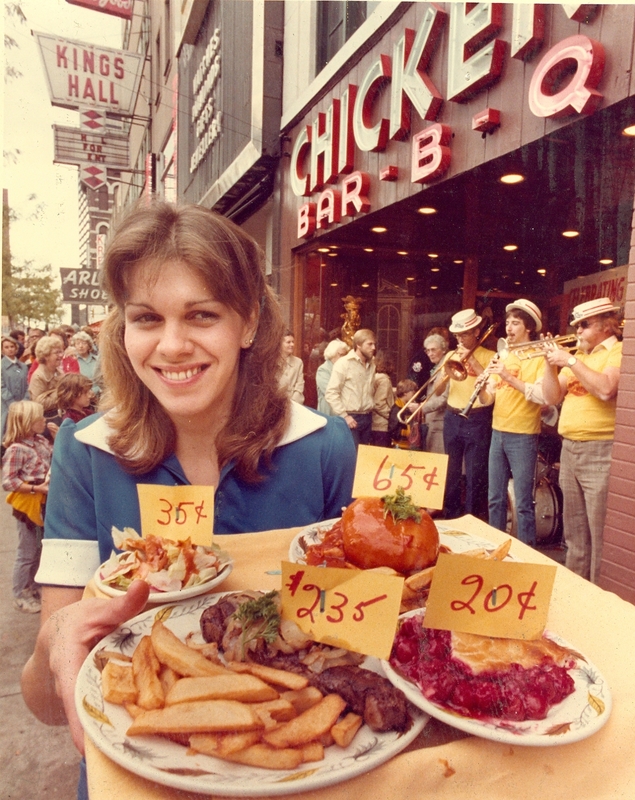  Archived in Flashback and tagged Chicken Roost, Hamilton Ontario. Bookmark the permalink. Loved your article and photos regarding the chicken roost. I am now 55 and have fond memories of my mother and I dining at this delicious restaurant when I was a young girl. We need more restaurants like this one! Never disappointed eating at the chicken roost! Thanks again for a trip down memory lane. Max Minzt and his late brother Benny were a class act. The Chicken Roost was The place to go and be seen and treated royally. We grew up with it. As late teens, after a movie it was french fries and gravy and romantic booths on either side. Later, as you parents, we took our infants and young children. Paul Hanover used to do his CHML radio program from the front window. Later still, I became and announcer at CHML and did a radio program from the Heintzman store on the corner. Hamilton downtown was beautiful then and the Roost was its centerpiece. Miss it. Hello Max. Thanks for the memories and for the recipes! 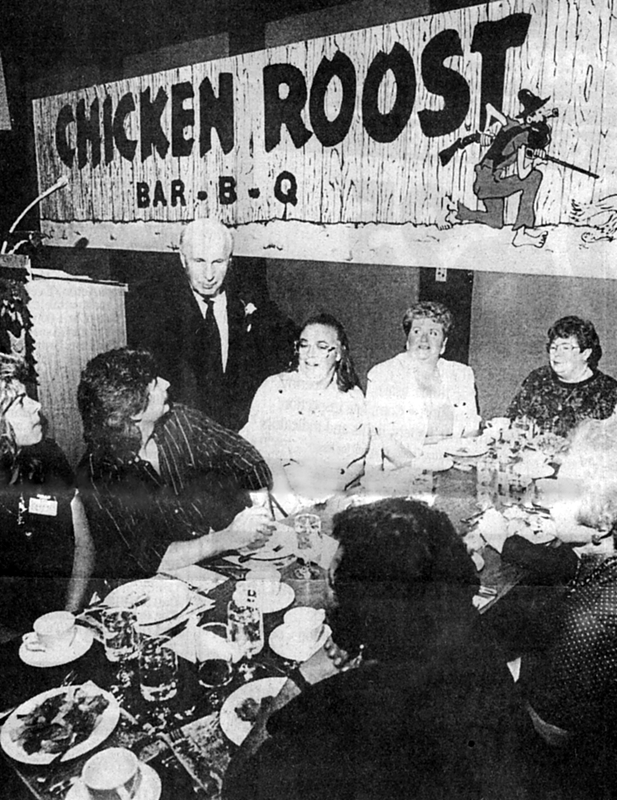 My parents took me there – I used to take my wife and kids to the Chicken Roust almost every Friday night. – Then they closed – A real loss for us and Hamilton. Does anyone have the recipe for their house salad dressing – it was the best ever. Oh how l loved to eat at the Roost, my now sister in law used to take me there when l was a kid. We loved Max and still do. l had my wedding reception at Maxwells in 1988. This is still my # one place to eat in Hamilton, saw Max there over the Xmas season, he looks great. My girlfriends and I went there on Saturdays when we were 13. I ALWAYS had chicken on a bun with barbeque sauce and the ice cream puff with hot fudge sauce. My mouth still waters over that. The food and the place were great. Special memories of such a great place. Soup, sandwich, drink and dessert. ‘fabulous’ I really miss that place.